Airmax D-Scale is a powerful multi-functional fountain and aeration cleaner that deep cleans and removes limescale, calcium, rust stains and other mineral deposits. 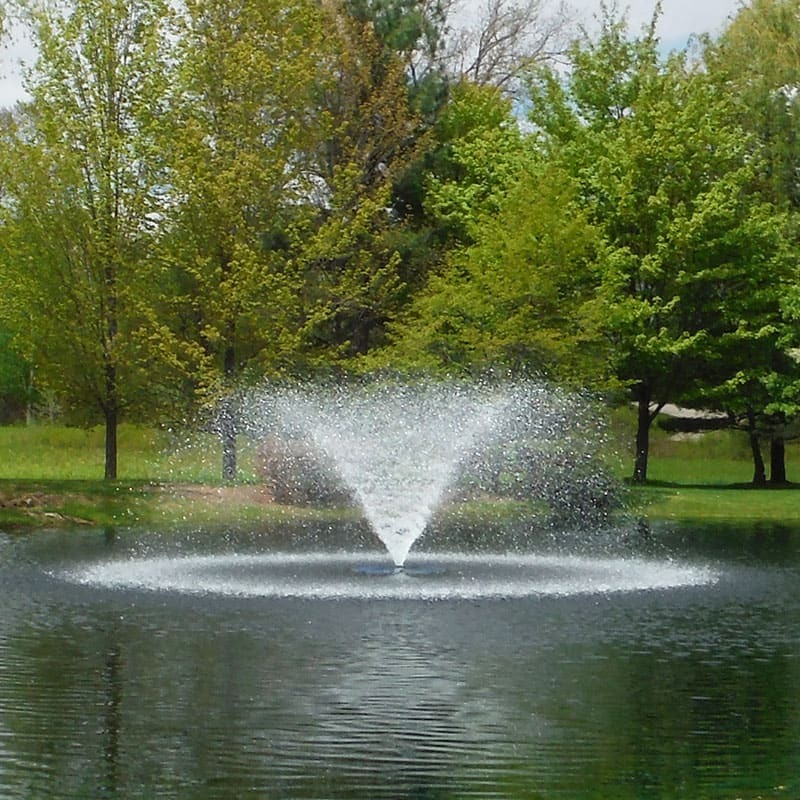 Fast-Acting, Foam Cleaner: Quickly and easily deep clean aeration equipment, fountains, spray boats and water pumps. Works on Contact Without Fumes: 100% biodegradable, Airmax D-Scale Fountain Cleaner's fast-acting foaming formula works on contact without scrubbing or releasing harmful chemical fumes. Safer Alternative: This is a perfect replacement for other harsh cleaners such as hydrochloric or muriatic acid. Just spray, set and rinse. 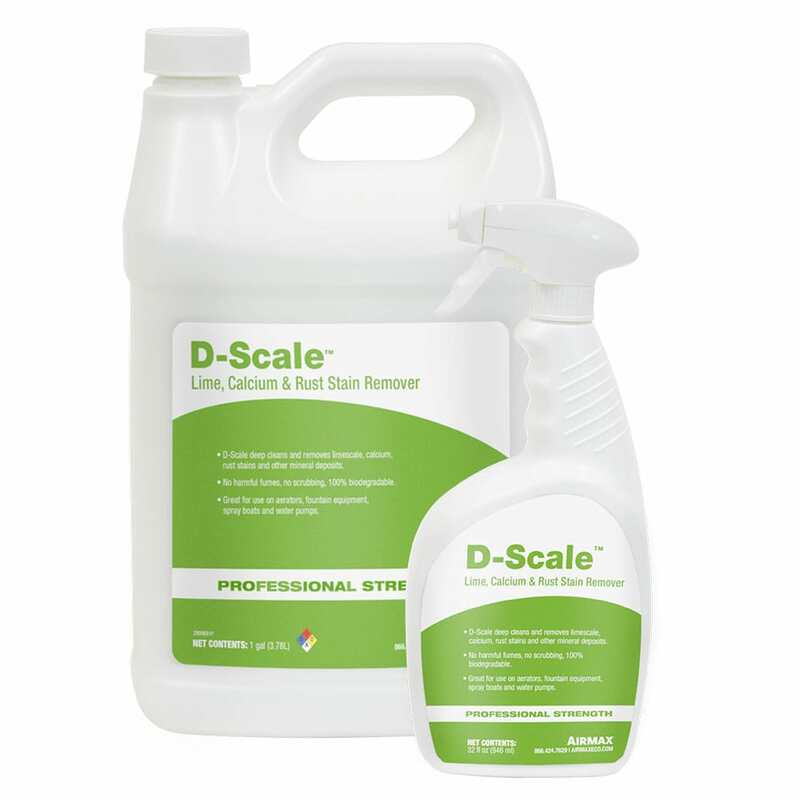 Watch the D-Scale Fountain & Aeration Cleaner Product Video. Airflow and water-flow may diminish overtime due to mineral deposits overtime. During routine maintenance apply product to rust stains, lime, calcium or other mineral deposits as needed. Spray Method: When using a spray bottle, spray surface to be cleaned. Allow product to come in contact with treated surface for 10-30 seconds. Remove excess product with soft cloth and rinse with clean water. Soak Method: Mix 1 part Fountain & Aeration Cleaner with 9 parts water. Soak equipment for 1-3 minutes then removed from solution and rinse with clean water. Repeat if necessary. Wear protective eyewear and nitrile gloves when applying. Extended exposure or soaking in product may cause stinging in open sores, cuts or around fingernails. Airmax D-Scale Fountain & Aeration Cleaner should not be used on concrete, masonry, marble, aluminum, zinc and galvanized metal.